Lumens, Kelvin, watts… when did light shopping become so detailed? There are really only a few things to be conscious of when trying to choose the best bulb for a specific area. One of those is lumens. What does it mean when a lamp is 8 lumens? Why should you think twice about that little number, anyway? Well, it’s time to learn! It can be hard to shop for efficient LEDs when you don’t know the correct terms. In fact, in that case, it’s almost impossible. 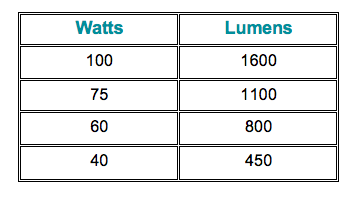 Lumens measure the brightness/amount of visible light while watts simply do not. If you’re in search of a bright light, you want a higher lumen level. Watts, on the other hand, represent how much energy a light uses. When shopping for LEDs, you want high lumens and low wattage. The word illuminate suddenly makes sense now. When trying to light up a space, you don’t worry about how much energy is used; you want to choose your desired brightness. Shopping for lumens is the smart way to shop for bulbs as again, lumens are the brightness you visually see. Looking to switch your mindset from watts to lumens? Below is an easy-to-follow comparison guide in doing so. 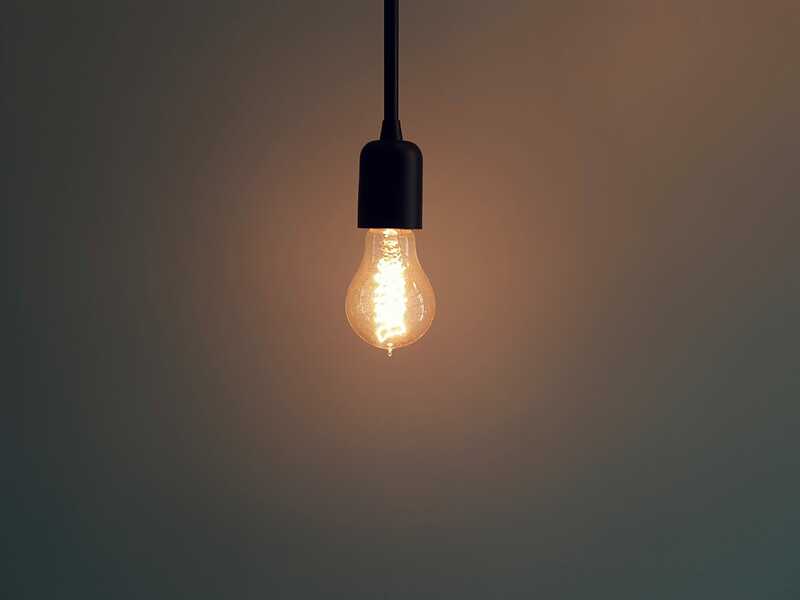 Replace your current bulb wattage with one of the suggested lumen amount, according to Energy.com. Upgrading from incandescent bulbs to LEDs are also the most efficient choice as they are eco-friendly and use less energy which saves you money in the long run. Only you are most familiar with your home, so shopping for lighting based on each individual room can make things less overwhelming. These levels are merely suggestions according to Care2.com and have a fair range depending on the size of the room and how much natural light is available. When shopping for bulbs, it’s important to consider the size of a room. If you have a high lumen level bulb lighting up a large space and a low level bulb illuminating a small space, oddly enough, the lower lumen level may appear brighter. The kitchen is the room where you want clean, crisp light and ultimate brightness. On average, you want the lumen level to be between 5,000 and 10,000. You will see that this is the room with the highest suggested levels simply because your kitchen is task-heavy with a lot of tools and appliances. Down time can include many things, from watching TV, conversing or sleeping. A living room should be bright but not too bright. You want this room to be between 1,500 and 3,000 lumens. From getting ready for the day to easing your way into the night for some rest, the bathroom should be well-lit with no dull lighting. A level between 4,000 and 8,000 lumens is ideal. This is a wide spread so you can choose the amount that is right for your bathroom size. A bedroom has a similar function to the living room, except with a lot more shut eye involved. 2,000 to 4,000 lumens are ideal, but with a dimmer, you can control the brightness to fit the time of day or task. Your eating area is often times where you’re entertaining guests or spending your everyday having dinner. With a lumen amount of 3,000 to 6,000 it’s enough to prevent over-saturating the room with light. Similar to a dining room, your at-home office should have a brightness level of 3,000 to 6,000 lumens. Why? Because you’re continuously reading, writing and staring at a screen. Dim light in this area can cause you to strain your eyes, but anything too bright can also be a problem. Other specifics to take into consideration when light shopping? The color temperature which are measured in Kelvins. This represents the color of light, such as warm white or cool white. 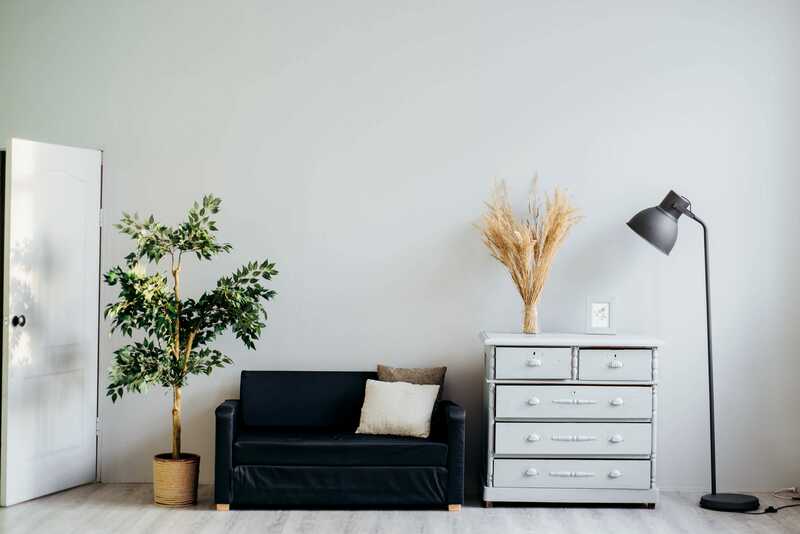 Whether you need functional, task lighting for or unique accent lighting for décor is also an important factor that dictate the lighting unit you’re interested in. Desk lamps are more task related, while something such as a salt lamp is more for design purposes. You should also seek out bulbs that have ENERGY STAR qualified label as these are highly rated. Want a deep dive into color temperatures and Kelvins next? Let us know by sharing this article on social media!